Volunteer rescuers busiest night ever! Trevor’s Week for 10th June 2015. 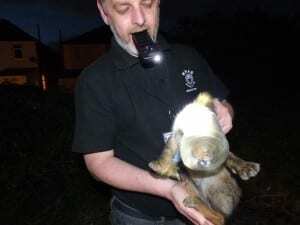 Fox released after being found with head stuck in Plastic Pot. FOX RESCUED WITH HEAD STUCK IN PLASTIC TUB.